BEEF – The vast majority of our beef comes in from two suppliers who kill for a number of farmers in and around East Anglia. All beef comes into our shop in carcass form where it is butchered down and then matured for a period of time to ensure the beef you buy is extremely tasty and tender. We are proud of the quality of beef we buy and most years have looked to purchase prize cattle at our supplier’s shows. Something to look out for this Christmas! PORK – A lot of our pork comes in from farms in and around Norfolk. We buy all our pork where possible in carcass form where it is butchered at the shop to then be sold throughout the week. We take delivery of pigs most days meaning we have a constant supply of fresh local pork for sale. LAMB – As with our Beef and Pork, the lambs we buy are locally bred and delivered throughout the week. Many of the farms we get our lambs from are based in the north Norfolk coastal area and supply us week in, week out with fantastic quality lambs. If you like your lamb make sure you pay us a visit during the spring, as the spring lamb we have for sale is always incredibly tasty and tender – something you don’t want to miss out on! CHICKEN – The most versatile of products. All our whole chickens come from red tractor farm assured sites where possible. We have deliveries of fresh chickens in to us 3 or 4 times a week meaning that whatever you buy from us, whether that’s Chicken Supremes, Breast, legs or whole chickens you are guaranteed a tasty fresh product. SAUSAGES – All our sausages are homemade using the traditional linking method. Our sausage flavours use only the finest blend of mixed herbs and spices, along with rusk and high quality pork trim. We stock around 10 flavours daily but each week will run one or two ‘specials’. Every year in November we pay homage to the sausage and have a free BBQ at the front of the shop with tastings on over 25 varieties to celebrate National Sausage Week – definitely not one to miss! Some of our specials include; Pork and Spring Onion, Pork Apple and Black Pudding, Cajun Pork, Chicken Sausage, Venison and Herb Sausage, Honey and Mustard amongst others. 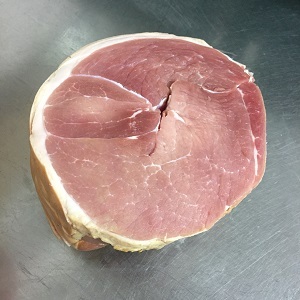 BACON & GAMMON – Unlike many butchers and supermarkets today, our bacon and gammons are still cured on the shop premises using a combination of sweet cures. However we do go one step further than this and even smoke bacon and gammons (amongst other wonderful products!) in our smokehouse at the rear of the shop. For those who have tried our smoked products, I’m sure all will agree that the taste is something totally incomparable to the chemical induced smoking used for the vast majority of ‘smoked’ products on the market. GAME – Whilst late September draws the end to the British summertime the one good thing is that it means game season is just around the corner. Throughout the Autumn and Winter seasons we stock a wonderful array of local game produce such as Venison, Partridges, Pheasants, Rabbit and other mixed game. Ask in shop for more details. FROM THE FREEZER – Whilst most items we try and sell fresh, there are some items we get occasional requests for and as such keep a stock in the freezer. Items such as Haggis, Duck Breasts, Duck Legs, Chicken Livers, Duck Livers, Pigeon Breasts and Gluten Free Sausages are available from our freezer all year round. COOKED MEATS – A rapidly growing area of our business is our cooked meat section. We have cooked ham, beef, turkey, pork and tongue available every single day in the shop. All cooked meats are prepared and cooked on the premises and can be sliced to any thickness upon purchasing. Other popular cooked products sold are haslet, pork cheese, slow roast belly pork, ham joints, smoked cooked chicken breasts, sausages and duck breasts. Any cooked meat purchase can be vacuum sealed on the day to increase shelf life and preserve its freshness.